One of the best smelling museum events in the country returns to San Diego this April. If you’ve never experienced the San Diego Museum of Art‘s “Art Alive,” prepare to have your senses overwhelmed. The museum is a treat for the eyes all year long, but the annual Art Alive event transforms the galleries into a floral explosion that’s a feast for eyes and nose alike. At the heart of the event is a spectacular exhibition where floral designers are invited to interpret works from the museum’s collection in their medium. 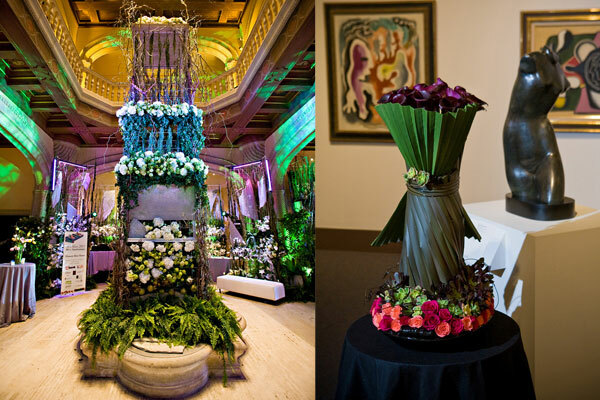 The beautiful floral creations are presented alongside the original works throughout the galleries from April 13 – 15. However, Art Alive is more than just a weekend exhibition of floral arrangements – it’s also a time to celebrate and learn. From the elegant Opening Reception to the hip Flowers After Hours to the educational events for both kids and adults, Art Alive features a variety of ways to get involved and have some fun with flowers. Want a preview of what you can expect to see? Check out last year’s video preview of the event! For a complete listing of Art Alive events, visit the San Diego Museum of Art’s website. This entry was posted in Arts & Culture and tagged art, arts & culture, balboa park, event, events, exhibition, flowers, museum, museum of art, san diego museum of art by Candice. Bookmark the permalink.